Applications now open until Friday 30th January 2015. Apply now! Complete the easy online form. If you did not teach taster classes last year you will need to complete the online form then send us your CV and a NZSL video explaining why you want to be a tutor. The video is for us to assess your NZSL skills. Contact your local Community Relations Officer for assistance. Tutors will be required to attend unpaid training sessions between March and April. 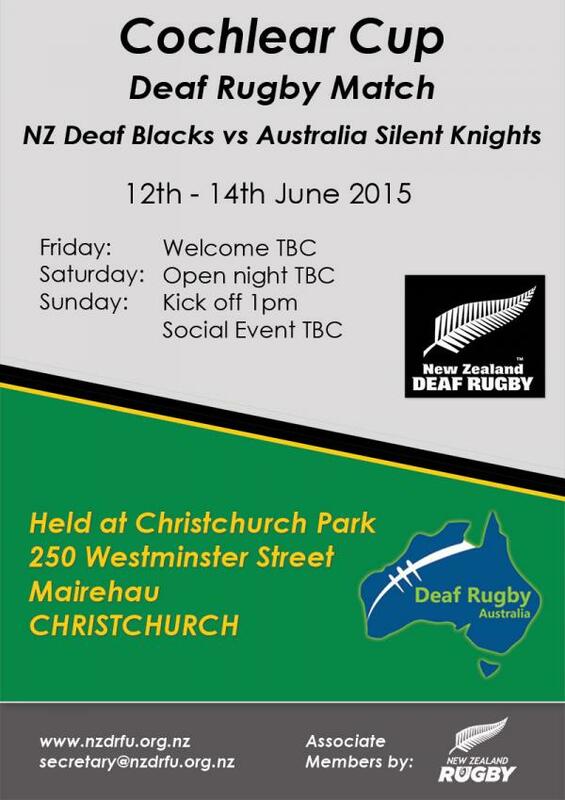 For more information or any questions contact your local Community Relations Officer or email: nzsign@deaf.org.nz. The Ministry of Education, in collaboration with Deaf Aotearoa, have seven e-books available in NZSL. Download for Android or iPad/iPhone. They are great resources for keeping your children entertained over the holidays! All matches kick off at 1:30pm. Able has a weekly newsletter about their captioning service. If you are interested in joining their mailing list you can go here and click on "Click here" in the last bullet point. Can you beat the Sign Ninja high score? Currently the high score of 22,265 is held by Shadow. Wow! Can you beat his high score? You can play Sign Ninja online from your PC, tablet or smartphone! The Deaf Development Fund invites applications for grants to attend the XVII World Congress of the World Federation of the Deaf in Istanbul in July 2015. A maximum of $21,000 is available for distribution. The amount per grant will depend on the individual situation and merits of the application. Applications close Monday 9th February. Applications will not be accepted after this date. For any enquiries please email lcarmichael@xtra.co.nz. There will be two tests. More information to come later this year. Free workshop about New Zealand law and legislation. Important: Are you interested? Please let me know so interpreters can be organised. Text me on 021 540 191 or email tanya.davis@deaf.org.nz. Christmas is finished, are you ready for 2015 TEC workshops? Are you interested but can't make it because of work? Please let me know if you would like to attend and I’ll try and organise different times. Great summer fun — cool down in the water. Don't forget to bring cash if you want to buy lunch. Yay for a fresh start for 2015! Happy new year from Deaf Aotearoa Auckland and South Auckland offices. We have a exciting year to look forward to with NZSL week coming in May. Deaf Aotearoa staff are looking forward to delivering excellent service. Please remember to contact us to make an appointment to see a staff member. Or you can come into the office and a staff member will make appointment for you on a later date. You can see a service coordinator, employment consultant, youth worker, Māori development officer, community relations officer or another staff member. Our offices are open on Monday to Thursday and closed on Friday. 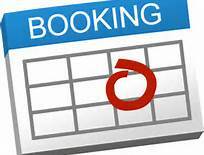 You can contact us to make an appointment to see a staff member on a Friday if you have a good reason why you can not come on another day. Movies in Parks have fantastic programmes of free movies and entertainment. It happens every Friday and Saturday evening all over Auckland. There is something for everyone, with everything from blockbusters to animation movies to home-grown flicks. Please check the age restriction if you are bringing children. Movie starting times depend on sunset times. So come early to secure your spot in some of Auckland's most stunning parks. Have a picnic there. Check their website, Facebook and Twitter for the nearest location and more information. If the weather is dodgy check their Facebook page for updates. Free pool-based fun and learning for 11 to 17-year-olds to help them strengthen swimming skills and learn how to keep themselves and their mates safe around water. Previous water experience not required. Activities include water polo, snorkelling, learn to swim, aquatic games, surf safety and water safety, delivered by qualified and experienced instructors. Lunch included. Registration is essential. Attend any date of your choice or all dates. For more information please email breakaway@watersafe.org.nz. Interested in learning how to dive? 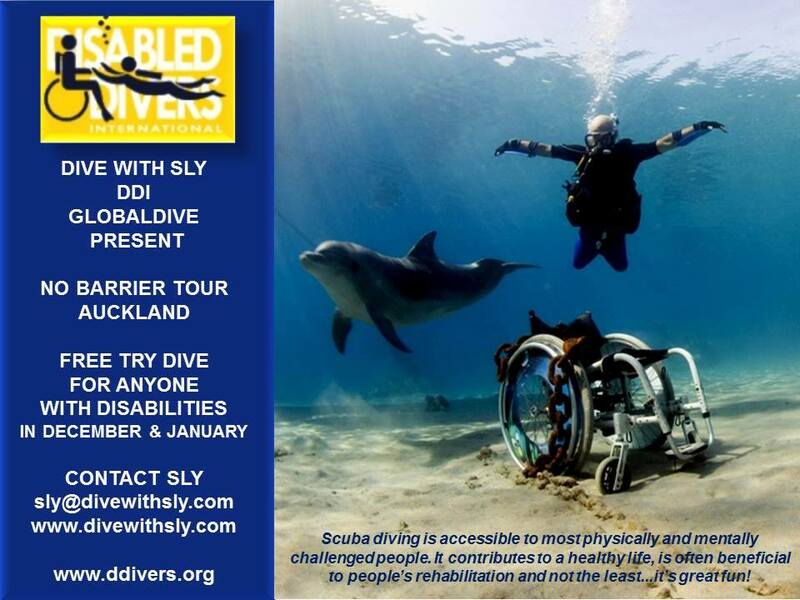 Dive With Sly is a specialised diving programme for people with disabilities, including Deaf people. There are some free 'try dive' sessions available in January and February in Auckland. There are also diving courses available. It may be possible to have courses fully funded at no cost to participants. If you are interested in finding out more you can contact Sly (sly@divewithsly.com) or see their website (www.divewithsly.com). A representative from Labtests will come and give presentation about how to understand your blood screening test results. The presentation will last two hours and will include time for questions and answers. You may have low iron, high cholesterol, diabetes, etc and want to understand more about it. 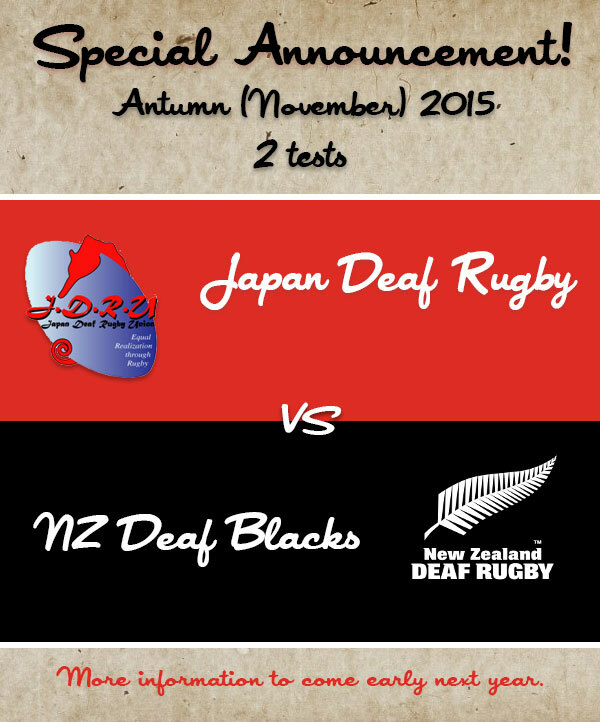 For more information, please contact natasha.cloete@deaf.org.nz. Please RSVP before 30th January if you are coming. This is a reminder that this Saturday we are organising our Stir It Up event again. It is a great opportunity for all hearing people who want to refresh their sign language. Bring your friends, family or whānau. See flyer for more upcoming dates and information. Kia ora and welcome to a new year: 2015! We hope everyone had a great holiday! Thank you to those of you that have already come in to the office to share your news about where you have been and what you have been doing. Some Deaf have been travelling far, some been working hard at home, some visiting friends and eating and drinking, some swimming and sun tanning, and some camping and fishing. Great news! I hope the excitement can continue as we look forward to our 2015 events together. So what’s happening? What is Deaf Aotearoa's Hamilton office planning for 2015? Budgeting: Maybe you have debts that you would like to get rid of, so you can finally start saving money. Then this course will be great for you! It will help you to set up a budget that works for you and your family. Driving licences: People have been interested in getting their learners licence or their motorbike licence. Or how about getting your passport done so you can travel overseas? What do you think? Technology: This year I will be out and about promoting the Video Remote Interpreter (VRI) technology to many schools, healthcare providers and other government agencies. But first, I would like to share this important information with Deaf so you can see the benefits and then encourage different places that you visit, to have it set up there. Also, we have NZSL Week to look forward to during 4th to 10th May. I hope more of you will apply to be tutors. I will need some volunteers for our many workshops that we will be running for the week. Kayte also has a few things up and running with the Deaf community also. We really want 2015 to be the year for greater things in Hamilton. So we look forward to your support, helping hands, and many warm smiling faces to come visit and share your ideas. In February 2015, there will be a great opportunity for the Waikato Deaf community to get involved in free drama/theatre workshops. There is also a chance to be selected for a live paid performance in May 2015. Read more to find out. Very exciting! Get involved! Come along to the Signing at the Cook catch up! Why: Enjoy chatting! Meet other Deaf people. Help others practice their NZSL skills. Be a signing role model. Promote Deaf culture in the community. Meet others learning NZSL. Who: All welcome! There will be NZSL adult students there that will love to meet and sign with you. Reminder: The office will be closed on Monday 26th January due to Auckland Anniversary. Do you go to parent/teacher meetings at school? Do you visit your local medical centre or hospital? Do you go to an optometrist to get your eyes checked? Do you need a video interpreter for your appointment? Please visit Deaf Aotearoa to pick up a request form and tell us where you would like access to a free video interpreter. Your Community Relations Officer will tell you more about VRI. Do you want an appointment with Child, Youth and Family? Video Remote Interpreting is available at Child, Youth and Family's office at Level 1, West Plaza, 78-96 Grey Street, Tauranga. Want to know more about VRI? Go to: www.vri.govt.nz. Hungry? Dinner in the Domain is a weekly food market with a choice of varieties that you can eat. Have a break from cooking and head down to the Domain! Do you have a dog? Do you want your dog to meet other dogs? 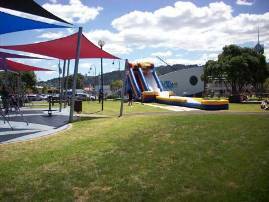 Then go to Waipuna Park for a morning of fun! There will be a play truck, tennis balls, play course, doggie dress ups, more tennis balls, prizes, giveaways and… even more tennis balls! Please contact marama@taranakidic.org.nz to register your attendance on any one of these workshops dates. The Taranaki Motorcycle Club is holding its annual motocross signature event proudly sponsored by Mach1Yamaha. There are trophies and prize money totalling $5,000.00 up for grabs. BBQ food and drinks available. Come along and watch some exciting racing. A great day out for the whole family. Come and explore this beautiful reserve in New Plymouth, where you will have the opportunity to learn more about this hidden gem. Bring your family for a picnic lunch and a paddle in the Waiwhakiaho River. Bring a picnic lunch and a drink. Dogs are welcome - don't forget a doggy-doo bag and lead. Join New Plymouth District Council's Animal Control Officer Frank Fenton for a walk alongside the beautiful Waiwhakaiho River with man's best friend. This is a return walk with the chance for the dogs to have a swim at the turnaround point. 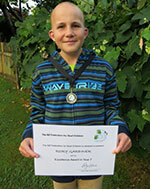 In late 2014 Inglewood Primary School student Rory Gardiner was awarded the NZ Federation for Deaf Children Excellence Award in Year 7. Rory, aged 12, has moderate-severe hearing loss as a result of the treatment he received for brain cancer in 2009. Rory wears hearing aids, and has a sound field in his classroom to help him understand the teacher. Rory is a REACH rep at Inglewood Primary, modelling the REACH values (Respect, Expect, Achieve, Communicate, Hau ora) for other students at the school. He works hard in the class room to complete the work to the best of his ability. He has a positive attitude to learning, and a cheeky sense of humour. He is a brave and determined individual. Rory does not let his disabilities define who he is, or restricts what he can achieve. My inspiration is my son Rory who was diagnosed with brain cancer in 2009. To read about Rory's journey go to www.rorygardiner.co.nz. Written for the Deaf community newsletter by Leigh Honnor (Rory’s mother). Thursday and Friday Office closed – by appointments only. Remember we are here to support and assist you. Come and see us, have a chat with us and see what we can do for you to make your 2015 a better year. The Gypsy Travellers will be back at Anderson Park in Taradale to show and sell their crafts for the weekend from 9:00am till 4:00pm on Saturday and Sunday. They have candy floss, paint ball, bouncy castle, clothing, entertainment, hats, readings and lots more. Don’t forget to update your funding and be ready for your next meeting/training at work or maybe your next job interview. If you are looking for work and you get a job interview, you may want to have an interpreter there. You need to fill out the Workbridge Training Support form. If you are already working and have ongoing meetings or training sessions, you need to fill out the Workbridge Job Support form. For more information about Workbridge funding please see their website. If you need an interpreter you need to have funds available first. If there are no funds then you can’t book an interpreter. It is easy to get this done, but it takes about two to four weeks to get your funding approved. Once you have your funding approved you can book an interpreter. Please contact Deaf Aotearoa if you wish to find out more about this. Our office will be closed on Monday 19th January due to Wellington Anniversary Day. Manawatu Deaf Society will reopen. Bring your own drinks! We will have a great time, so everyone come along and share your holiday experience and wish everyone a Happy New Year! Ashhurst Domain has a very large open space with many different activities to suit all sorts of people, from walking the dog to playing a game of rugby. Come along and join us at Ashhurst for a picnic, to walk the dog, or just to sit and have a drink overlooking the wetlands. This park is used for camping, rugby, soccer, walking dogs, family picnics, etc. It has a multipurpose sports ground and conservation area. There are toilets, BBQs and play equipment. It will be a very hot day! So bring along some ice, sunscreen, outdoor games, an umbrella (although there are trees for shade at the park). Also there is a BBQ for you to use, so bring your own food and drink. Children can go swimming in the river, however this will be the parents' responsibility to supervise them. There will be a members' raffle and lollies for children attending. It has not yet been confirmed where the welcome, open night and social event will be held. However, if you are keen to attend, now is a good time to start saving! For more information contact secretary@nzdrfu.org.nz. Want to learn New Zealand Sign Language? If you or someone you know wants to learn New Zealand Sign Language, there are courses available in Palmerston North. This course is being run by a qualified Deaf Tutor. The workshop will be held at Kelvin Grove Community Hall, Kaimanawa Street, Palmerston North. To register for any one of those workshops you can email info@voicethruyourhands.org.nz or register online at http://goo.gl/forms/1x5yzaFcK7. I have small flyers available if you wish to distribute this to people you know who may be interested in learning New Zealand Sign Language. Happy New Year! We here at the Wellington office are back and open as usual but don’t forget Wellington Anniversary Day is Monday 19th January so the office will be closed. Hope you all had a great holiday season and enjoy the long weekend! It gives us great sadness to announce Brian Parker has passed away in the afternoon of Thursday 15th January at Wellington Hospital. His funeral will take place at St Anne's Church in Northland, Wellington next Wednesday 21st January at 2pm. An NZSL Interpreter is being organised. Experience the sights, sounds and flavours of the Pacific with a day of traditional and contemporary music, performances, delicious food, and activities. The annual Wellington Pasifika Festival attracts more than 10,000 people and is a standout in both the wider Wellington region and on the national events calendars. Crack the code and complete the clues to discover the popular waterfront locations that will have fun challenges waiting for you! With each activity you complete you’ll receive a unique stamp to add to your map. Collect all the stamps and you will go into the draw to win the ultimate prize pack! Scavengers can start hunting at any of the locations along the route between 10:00am and 4:00pm. Along the way, some of Wellington’s best actors and performers will be on hand to provide entertainment, plus don’t miss the lunchtime performances and fancy dress parade under the sails in Queens Wharf Plaza. Wellington, water, wind, whale… Jump into the spirit of the great hunt and come along dressed up as something beginning with the letter ‘W’ and be in to win spot prizes! Come and celebrate the 175th Anniversary of the Petone Settlers! Bring a picnic and join us for a family day of rich history, fun games and activities and musical entertainment! Come along and catch up with all the whole community and chat about your holidays. All are welcome. The skies above Neale Park will come alive with kites for the 24th time over the third weekend of January. Nelson is known for wonderful kite flying conditions and attracts kite fliers from all over New Zealand and beyond. This is the longest running annual kite festival held at the best urban kite park in New Zealand. Warm up day is Saturday 17th January and the main day with kite and food stalls and all the extras on Sun 18th January. Both days go from 12noon to 5pm, gold coin donation. This event is self funded, so please support this amazing family event. Nelson Buskers Festival brings you award-winning street performers from around the world. Come and join us at the top of Trafalgar Street for action-packed, mind-blowing shows from Bendy Em, Becky Hoops, Pancho Libre, Eddy Eighty and Vinyl Burns. Our festival is family focused and free to attend. Please show the performers how much you appreciate their amazing talents and skills by tipping the busker hats. There is a change of venue for our picnic on Sunday 18th January. It will now be held at The Groynes, Groynes Road (off Johns Road), Northwood. Click map below for link to Google Maps. CPIT have a vacancy available for a person to assist a Deafblind student with reading and writing tasks assigned by the tutor. You can download the original job advertisement and the job description for your information. If you have any questions, please contact Human Resources by calling 03 940 8623 or email human.resources@cpit.ac.nz. If you need assistance with the application, please urgently contact Victoria victoria.walters@deaf.org.nz or text 021 324 828 to make an appointment. Leanne Holland-Davidson would like to organise a gathering for Deaf members who turn 50 between December 1964 to December 1965 in one venue for everyone to celebrate together. If you are interested, please contact Leanne by email at deaf50thbirthdaynz@gmail.com. 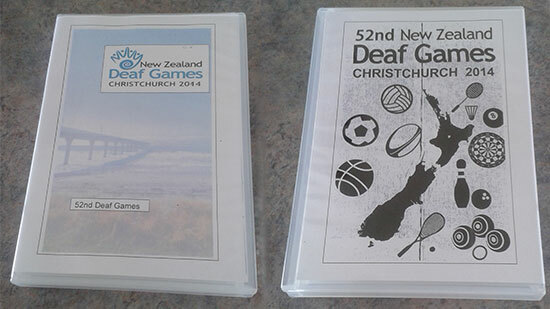 The Southern Zone Deaf Sport committee have DVDs for sale. There are over 300 photos of teams, players, social evenings during our NZ Deaf Games in Christchurch during Labour Weekend 2014. If interested to purchase please contact Leanne southerndeafsports@gmail.com. Please bring a small plate to share. Remember, coffee mornings are on Thursdays this year! The office will be closed for appointments on Friday 23rd January. 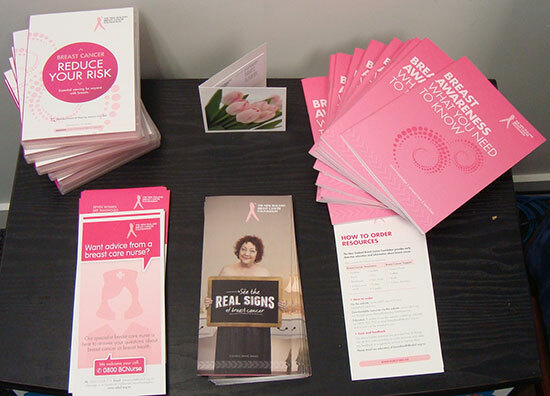 We have a new table set up with in the community room with heaps of information for women on breast cancer. Please come have a look and take a booklet or pamphlet to read. You can also borrow a DVD with information in NZSL. Do you go to parent/teacher meetings at school? Do you visit your local medical centre or hospital? Do you go to an optometrist to get your eyes checked? Do you need a video interpreter for your appointment?